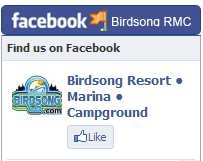 Birdsong Resort, Marina and Family Lakeside RV Campground is a 58-acre recreational complex that has been operated by Bob Keast and family in the true sense of southern hospitality as a second-generation owner since 1961. A major tourist attraction, recreational complex, and vacation community ranked in the top 40 in Tennessee, Birdsong Resort, Marina and Family Lakeside RV Campground features guided tours of the nation's only fresh-water pearl farm, a 150 slip marina, twenty six (26) rental accommodation units, annual leased lots, RV and wilderness camping, community center, pool, and boat sales and service. "The best part of fishing and hunting is the camaraderie....away from the daily grind and enjoying the greatest of the outdoors which is one of God's gifts to man. Relax and enjoy the largest man made lake in America, Kentucky Lake in western Tennessee," is Bob's theory. Located in the central part of the scenic Tennessee River's beautiful Kentucky Lake - the largest man-made lake in America. 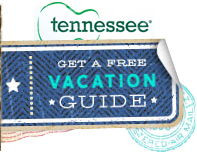 Over 2,300 miles of shoreline flow through the heart of Western Tennessee. 90% of Kentucky Lake is in the Great State of Tennessee. Quiet, yet conveniently located 9 miles north of I-40 at Exit 133, halfway between Jackson and Nashville, Tennessee. Birdsong Resort, Marina and Campground on beautiful Kentucky Lake,a Tennessee Resort in Camden, Tennessee is the ideal stop for an overnight, weekend or week stay. 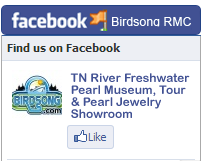 Birdsong is also the home of America's only site of pearl culturing - The Tennessee River Freshwater Pearl Farm. Freshwater pearls are the official gem for the state of Tennessee. 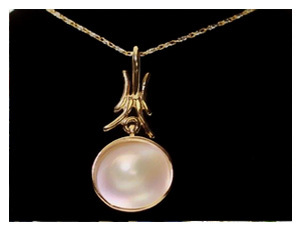 Call (731)584-7880 to make appointment to visit the Pearl Museum and Showroom. "A Pearl of A Tour" requires reservations. Tour "bookings" require 15 or more persons, but singles or small groups may add on to existing tour bookings. Contact Us for more information or to book a tour. For more information about the Tennessee River Freshwater Pearl Museum, Farm and Tour, visit the website at www.TennesseeRiverPearls.com.